SUDBURY – Big spending on Black Friday did not stop people from being generous with Cambrian College yesterday on Giving Tuesday. The Cambrian College Foundation set a target of $10,000 for student financial aid, the student foodbank, equipment renewal, and programming. That goal was eclipsed by mid-morning and by the end of the day, more than $51,000 had been raised directly, a new record for the Foundation. But the total grew from there. Eligible Giving Tuesday donations were then matched dollar-for-dollar, through Cambrian’s Gift Matching Program. It’s a special fund made up of donations, to be used to boost fundraising efforts. That brings the total amount of money raised through Giving Tuesday to $74,220. More than 100 individuals, organizations, and businesses donated to the Foundation throughout the day. Photo caption: City Welding makes a donation to Cambrian College during Giving Tuesday. Stacey Plouffe is one of those students. 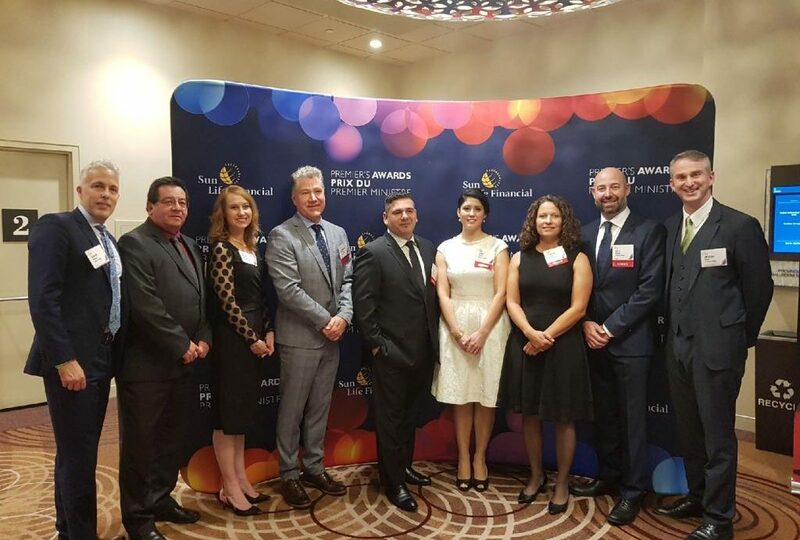 Plouffe is in the second year of her General Business program, and returned to school as a mature student, with financial help from the Cambrian College Foundation. 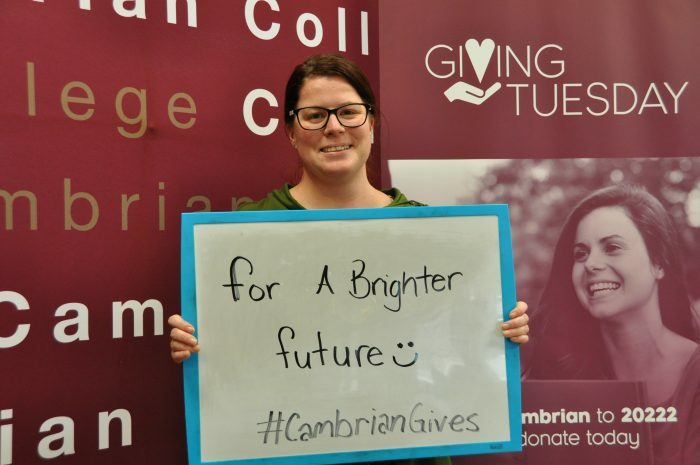 Photo caption: Second-year Business student Stacey Plouffe during Giving Tuesday at Cambrian College. Every year, the Cambrian College Foundation distributes more than $700,000 in scholarships and bursaries to students. Learn more at www.cambriancollege.ca/donate. Cambrian is also accepting students for the January semester. Full details are available at www.cambriancollege.ca/january. Cambrian College is northeastern Ontario’s largest college, with over 75 programs.